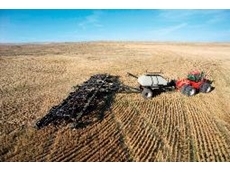 Cleaning, processing and packaging seeds. 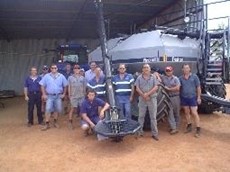 02/03/11 - Flexi-Coil supplies two varieties of air carts to meet differing capacity and metering needs, providing a safe and versatile solution for crop product distribution. 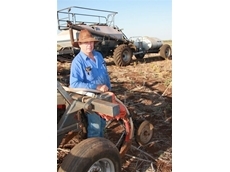 30/09/09 - Central Queensland broadacre farmers Gordon and Sue Rickertt have created an innovative way to distribute liquid fertiliser on their 3,000-hectare property, Curra. 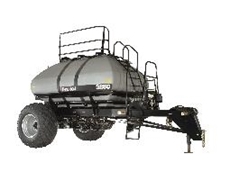 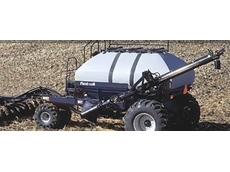 04/05/09 - The new Flexi-Coil 4350 air cart is designed specifically for large farming operations, and offers ease of operation and efficiency. 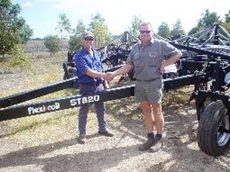 29/04/09 - Sebastopol Machinery Service at Millicent in south east South Australia has sold Australia’s first newly configured Flexi-Coil ST820 hydraulic tyne to local farmer Richard Kirkland.